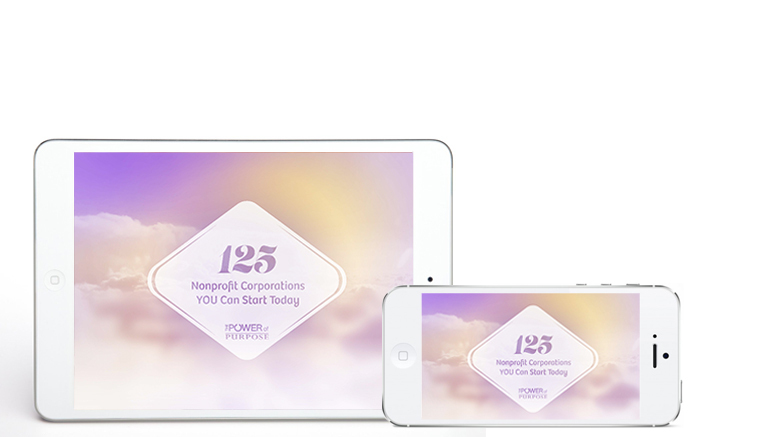 "125 Nonprofits YOU Can Start Today"
Learn insider secrets on how you can live your passion while helping to change the world. New training reveals how you can live your passion while giving back. How to Stop Stressing About Money and Live Your Passion Every Day!!! Sherry Watson is considered to be the nation's leading nonprofit expert and educator by news and media sources. She has launched 6 successful nonprofit corporations generating over $100 million in funding and real estate donations. Sherry was one of the chief architects of The Americans With Disabilities Act (ADA) and has improved the lives of millions by leading policy changing movements at the local, state and national level. Her 30 years of experience in the nonprofit industry nonprofits has even taken her to Washington D.C. where The President Of The United States appointed her as a special advisor. This is a very special webclass that is guaranteed to get you on the path to launching & growing your own Nonprofit. register now seats are filling up FAST! with one click at any time. We hate spam as much as you do! Get A Text Message Alert - Sign Up Now!